The University of San Diego is one of the top 100 universities in the country. The Princeton Review ranked USD as the #1 “Most Beautiful” campus in the nation. Besides its beauty and national ranking, USD also has a world class law school, nursing school and peace school. 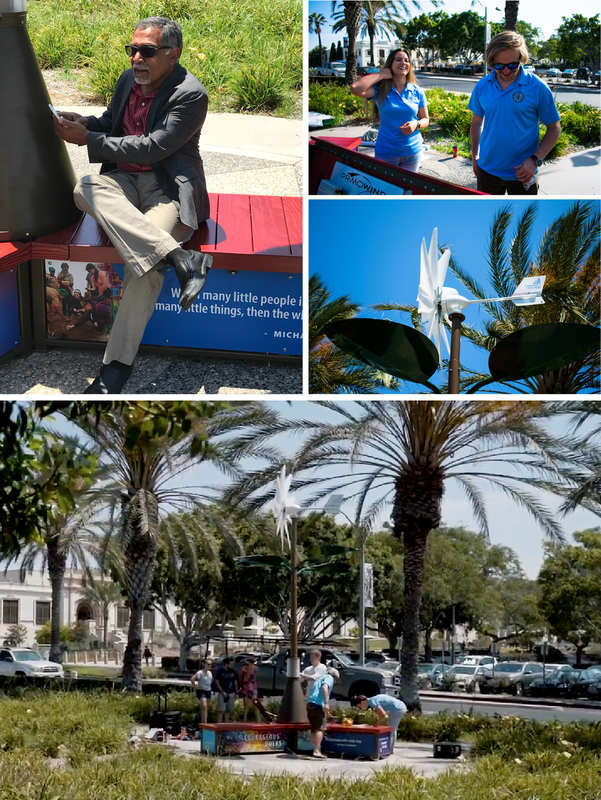 USD’s unique Kroc School of Peace Studies is one of only 40 universities globally that has an “Ashoka Changemaker” campus designation given to leading institutions in social innovation in higher education. These schools are re-envisioning the role of higher education and the university in society as major drivers of social impact. Dr. Patricia Márquez, Dean of the Kroc School, wanted to make functional art a part of the changemaker message. Primo is grateful that the Dean selected one of our EnergiPlants to be the first installation. 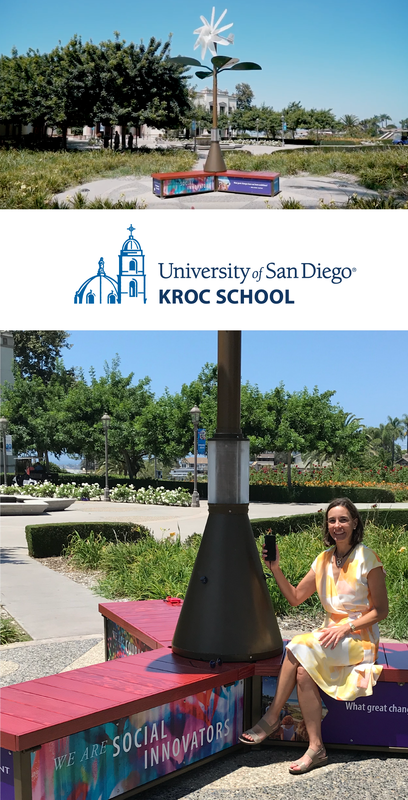 As you might imagine, getting all approvals through on “the most beautiful” campus in the nation wasn’t an easy process but it did get done and below are a couple of photos of our EnergiPlant recently installed in front of the Kroc School.